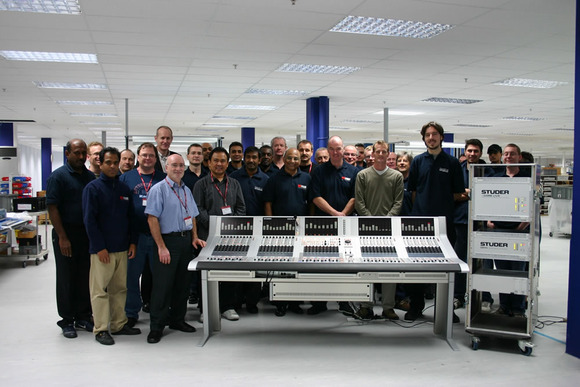 POTTERS BAR, United Kingdom – Soundcraft Studer’s production strategy; to converge both brands production in the Potters Bar facility, passed a significant milestone this week. With UK production now in full swing, the first Studer Vista large-format consoles were completed and went through test procedures with flying colours. The centre will also be host to the largest collection of Soundcraft and Studer mixing and recording exhibits spanning over 40 years. The Soundcraft Studer Heritage Centre will provide visitors a unique journey through both company’s pasts including many of the world’s most famous studio tape recording machines ranging from the famous Abbey Road Studer J37 first used on The Beatles’ Sgt Pepper’s album, the first ever touring Console - the Soundcraft Series 1, right through to the latest and greatest digital technologies from both brands.